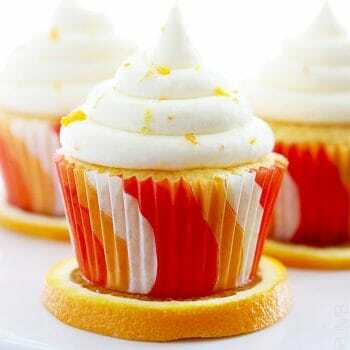 Fluffy and moist orange cream cupcakes – perfect for summer! Have you ever seen a more summer-y looking cupcake? 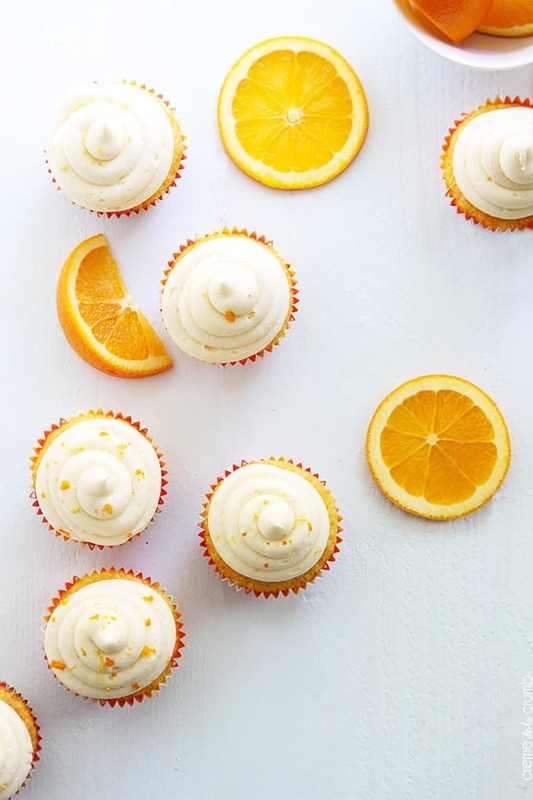 I swear if you just bundled up a handful of sunshine and whisked in some sugar you’d get one of these orange cream cupcakes. I can’t think of a better way to kick of June. And June is certainly making a grand entrance with some 92 degree weather the other day. Um, hello sleepless nights and permanent high ponytails. The only thing that’s made this sudden heat wave bearable is a whole lot of popsicles. And these cupcakes. Which don’t do much for bringing your body temperature down, but they do remind me of those 50/50 bars which have gotten me through many hot summer afternoons. 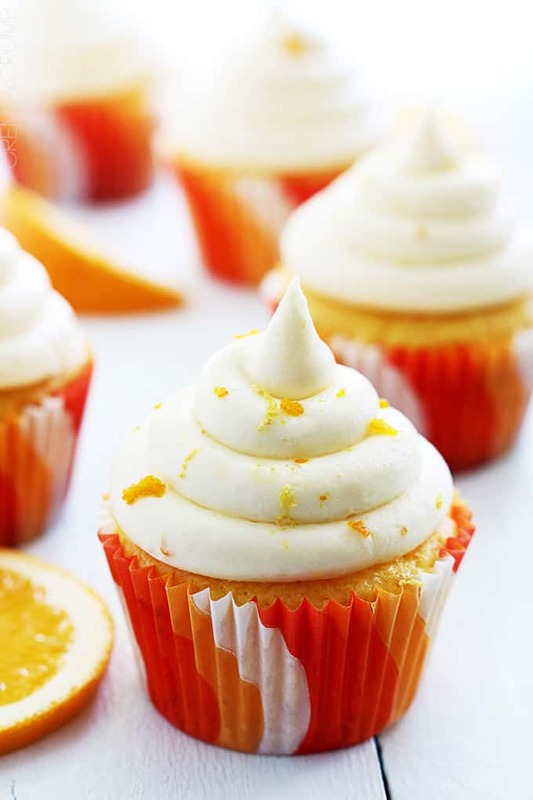 These orange cream cupcakes have that really amazing vanilla-orange flavor combo going on and the frosting is lick-the-spoon good. Better than that actually, it’s make-me-a-batch-no-cupcakes-required good. Not that I would ever make a bowl of frosting and eat it straight up like that…..
Oh wait. Yes I would. Don’t judge, when you taste this frosting you’ll understand. 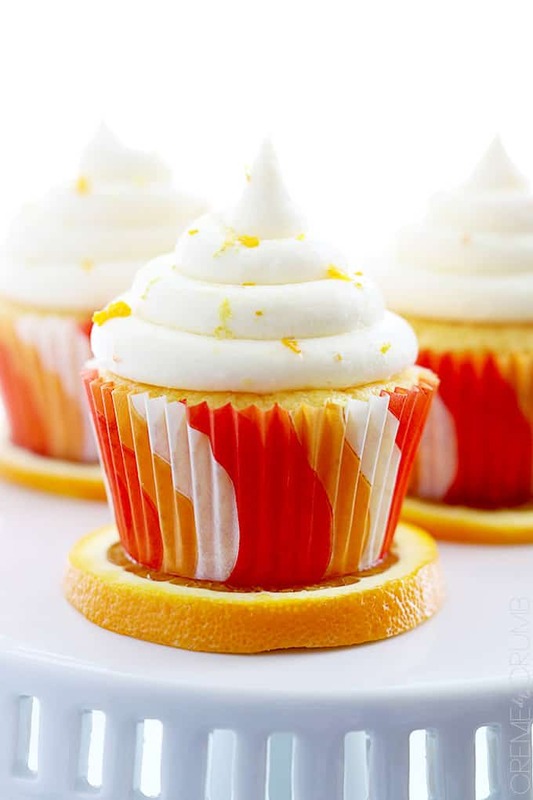 Fluffy and moist orange cream cupcakes - perfect for summer! Preheat oven to 350 and line muffin tins with cupcake liners. Sift cake mix into a medium bowl. In a large bowl, combine oil, orange zest, orange juice, greek yogurt, and eggs. Mix until smooth. Add cake mix and mix until smooth. Fill cupcake liners 3/4 full and bake 15-20 minutes until barely browned and "dry" looking. Allow to cool completely. In a bowl combine heavy cream, cream cheese, and butter and mix until smooth. Add orange juice, zest, vanilla, and pudding mix and mix well. Mix in powdered sugar 1 cup at a time until desired consistency is reached. (You'll want the frosting thicker if you plan on piping the cupcakes) Pipe or spread frosting onto cupcakes. Store in airtight container at room temperature up to 3 days. Recipe adapted from Your Cup of Cake. MMmmm…… these cupcakes look delicious. These are so summery! They look super! So fresh. 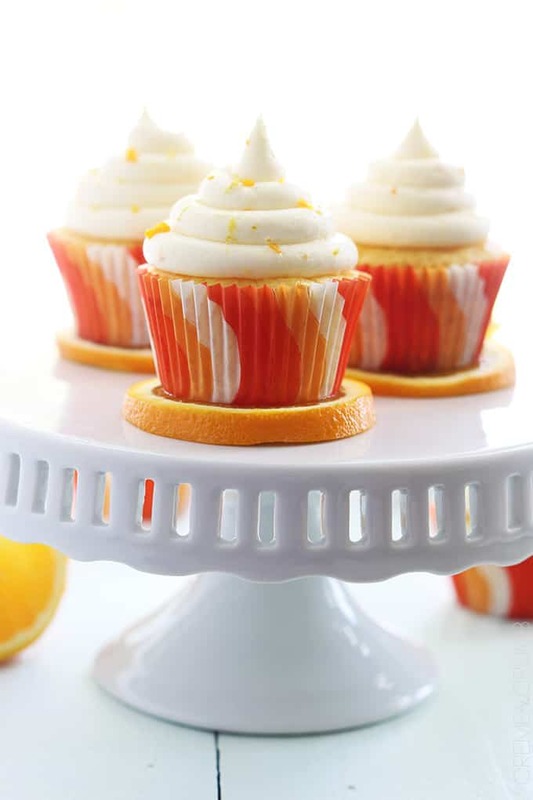 Absolutely adore how you’ve used orange slices to style the cupcakes, beautiful! 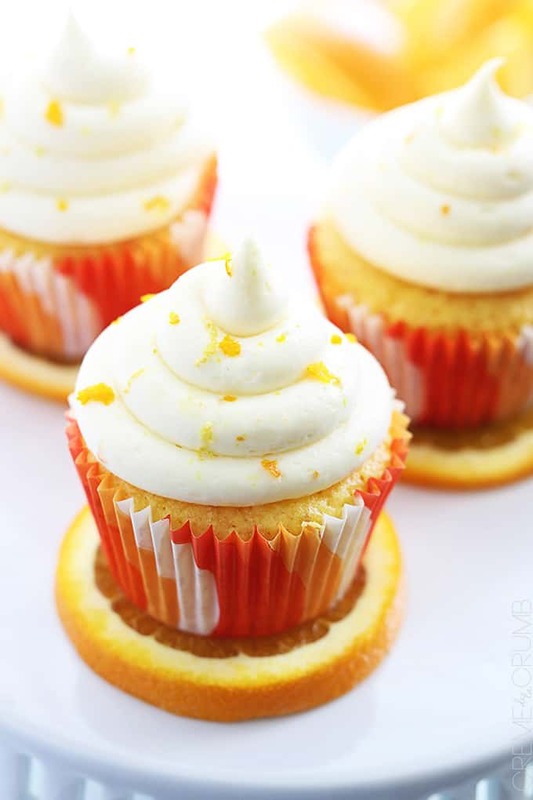 Did you sprinkle orange zest on top of frosting? Would that be bitter? What kind of tip did you use to pipe the frosting?